Final selection of Bark Park hoodies, sweatshirts and t-shirts on sale now at the YMCA. Here’s a great idea for Christmas! 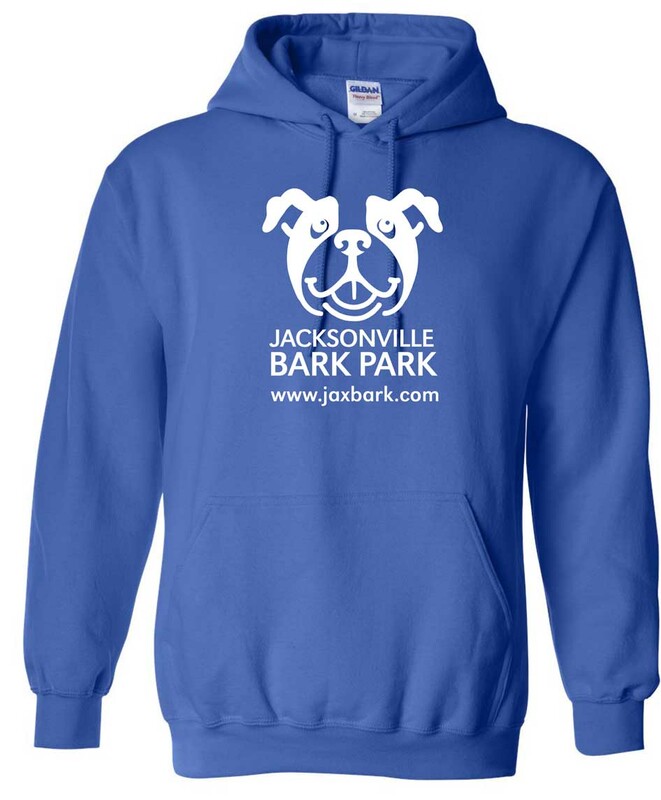 Get one of our Bark Park hoodies, sweatshirts or t-shirts for your dog lover (or for yourself). Proceeds go towards add-ons and other planned improvements at the new Jacksonville PetSafe Bark Park. Bark Park wear is currently hosted by the Bob Freesen YMCA – pick one up when you go to work out. Best to pay with check made out to the Jacksonville Park Foundation (cash ok, too). Or, send a message to the committee via the JaxBark Facebook page to have one dropped off at your office in Jacksonville. Here’s a list of our inventory — color is Bark Park Blue . . . Updated 12/29 – No longer at YMCA, just available on request via the JaxBark Facebook page.